NEW YORK, New York, November 12, 2010 (ENS) – The United Nations and its partners have finalized a $164 million plan to support the government of Haiti’s response to the current cholera epidemic. To date, more than 12,000 Haitians have been hospitalized, and over 800 people have died, the UN reports. The Cholera Inter-Sector Response Strategy for Haiti includes projects from 42 nongovernmental organizations, five United Nations agencies, and the International Organization for Migration, in support of the Ministry of Public Health and Population, which is leading the response. “A major effort has already been made, but the sheer quantity of relief items that need to be delivered in the days and weeks ahead is going to require more logistical and financial support for the Government by all humanitarian agencies and donors and very close coordination,” said Nigel Fisher, the UN’s Humanitarian Coordinator in Haiti. “Without this, the epidemic could well outrun our efforts,” Fisher warned. 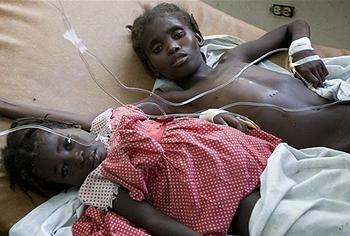 The cholera epidemic is Haiti’s first in 50 years. 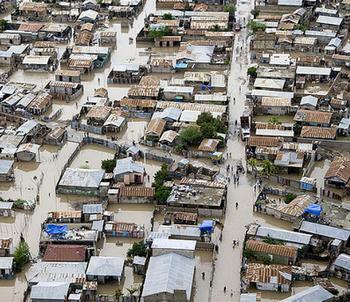 First confirmed on October 22 in Artibonite province, north of the capital Port-au-Prince, it has spread rapidly. On Tuesday, Haiti’s Ministry of Health said 73 cases had been reported in Port-au-Prince, a city of three million people. Displaced by the January earthquake, 1.3 million people live in makeshift camps spread across 1,300 sites. 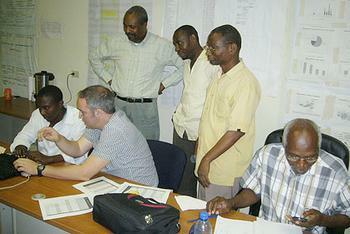 Ezra Barzilay, an epidemiologist with the U.S. Centres for Disease Control and Prevention, told colleagues at a medical conference in Biloxi, Mississippi by phone from Haiti Thursday that U.S. health officials worry cholera could spread from Haiti to the United States, which is only two hours away by plane. Barzilay is working in Haiti to set up a nationwide database that will help Haitian health officials to track cholera cases. “Cholera does not spread easily in developed countries such as the U.S., but we want to be sure we do not miss any high-risk situations, like cholera in a food-handler, or clusters or outbreaks,” the department said. If Haiti’s cholera epidemic follows a pattern similar to the last cholera epidemic in the Americas, it could produce tens of thousands of additional cases over the next several years, said Dr. Jon Andrus, deputy director of the Pan American Health Organization, a regional division of the World Health Organization. The last cholera epidemic in the Western Hemisphere began in Peru in 1991 and spread to 16 other countries, from Argentina to north to Canada. Florida had 25 cases from 1991 through 1997, said the Department of Health. In Peru alone, the epidemic produced more than 650,000 cases over six years. 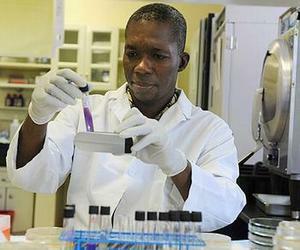 Dr. Andrus said a similar pattern would produce upwards of 270,000 cases in Haiti. While Hurricane Tomas just nicked Haiti as a Category 1 storm on November 5 instead of striking the island country a solid blow as many had feared, the storm still caused major flooding, and that has increased the risk of cholera, which is a waterborne disease. The effects of this could become apparent through a spike in cases in the coming days but Dr. Andrus warns that this cholera epidemic could last for years. 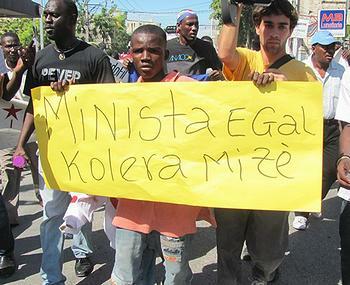 As cholera spreads through Haiti, protestors marched in Port-au-Prince Wednesday to denounce the UN peacekeeping mission in Haiti, MINUSTAH. It has been discovered that the Nepalese battalion of MINUSTAH allowed their latrines to overflow into a river in Haiti’s Central Plateau. Although no tests have proven definitively that the cholera in Haiti came from these soldiers, the Nepalese arrived in October, only weeks after an outbreak in Nepal, and the strain of cholera in Haiti has been defined as coming from South Asia, according to alternative media project Bri Kouri Nouvel Gaye. Until speculation is replaced with confirmed facts, the frustration and anger among the population grows. The UN’s new strategy anticipates that up to 200,000 people will show symptoms of cholera ranging from cases of mild diarrhea to the most severe dehydration. This number was calculated based on other countries’ experiences, and calculations by the Pan-American Health Organization/World Health Organization and the United States Centers for Disease Control. Cases are expected to appear in a burst of outbreaks that will happen suddenly in different parts of the country. Epidemiologists anticipate that the disease will continue to spread throughout the country and resources will need to be mobilized for at least six months. The new strategy includes public communications outreach, rapid operational response, access to health services for those affected, disease surveillance, supporting and strengthening the national response, ensuring clean water, and providing safe sanitation and waste management for high risk areas. The largest financial component of the strategy is $89 million for water, sanitation and hygiene, followed by $43 million for health services and $19 million for camp coordination and camp management. 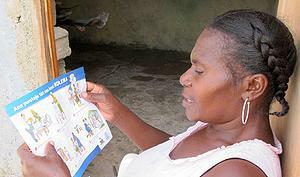 “Health workers are going into the Haiti’s slums and camps and blocking the charge of cholera through the most vulnerable communities by giving families information that can save them and their children from the disease: use clean water and soap to wash your hands, safely dispose of excreta, treat water at point of use, spread these prevention messages and seek treatment at the very first signs of the disease,” said Ireland.